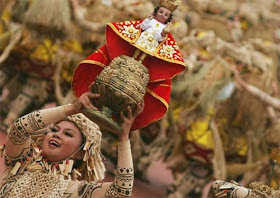 Cebu Sinulog Festival 2014 Grand Winner. Sinulog dance competition in Cebu City Sports on January 19, 2014. It's a very long day for the dancers but they managed to finished the competition. From street dancing to stage dance they gave their best for this competition.